Philip A. Buck: May The 4th Be With You - Star Wars Art For Sale! MAY THE FOURTH BE WITH YOU! Happy Star Wars Day, friends! It's already May the 4th and to celebrate, I am offering a one time only sale on a STAR WARS ART BUNDLE! 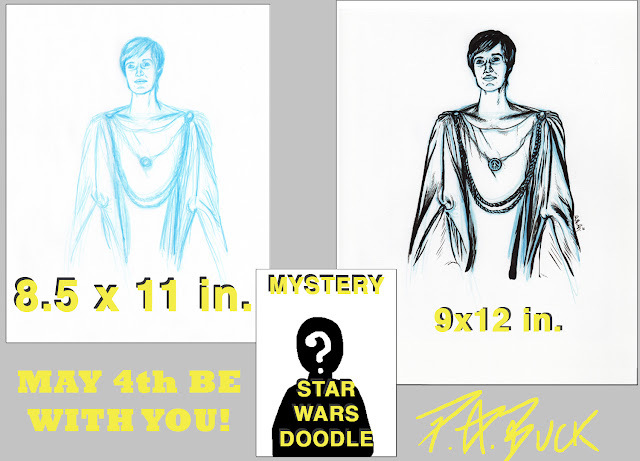 Today Only, you can buy original artwork of Star Wars character, Mon Mothma (as seen in Return of the Jedi & upcoming film, Rogue One,) by yours truly at a great discount! 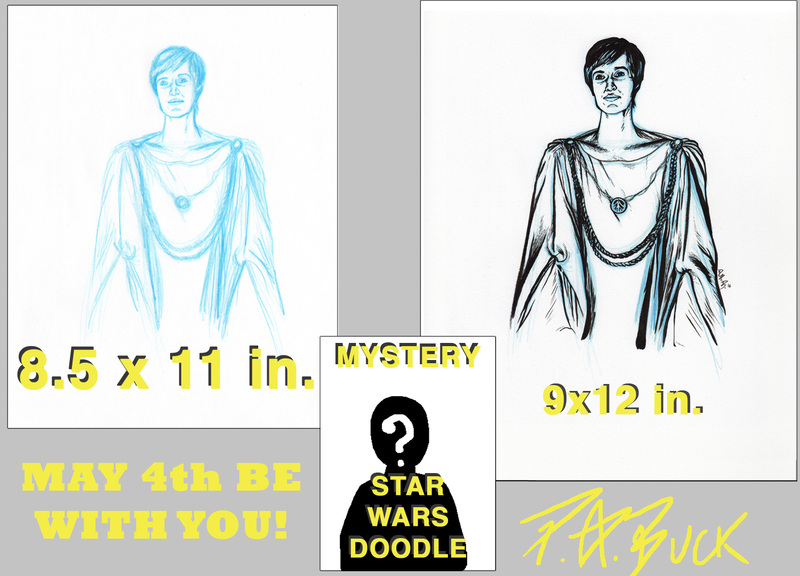 In this May 4th art bundle comes the original 8.5x11 inch blue pencil sketch on printer paper and the 9x12 inch inked drawing (I scanned the blue pencil sketch & printed it on Bristol board & then inked the drawing over top of the blue sketch.) But that's not all mi amigos! You will also receive a BONUS Mystery Star Wars drawing as well!!! And you get all of that for only $25!!! A great deal, this is. The Star Wars May the 4th Art Bundle is only available today in my original art shop, PABshop. 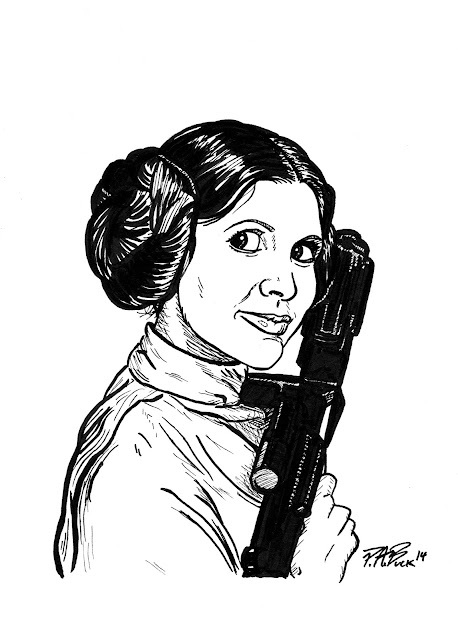 While you're there, you may also want to check out this original ink portrait of Princess Leia which will be on sale too! But remember, this sale is only today & is first come, first serve. These are original art pieces, so they are limited to one customer. Thanks, as always, for stopping by & checking out this deal! Until next time, Happy Star Wars Day & God Bless!